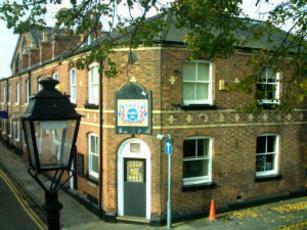 A functioning pub or a tourist attraction for people who like WW1. Certainly unusual but after an initial visit, nothing would make me clamour to go back. Food OK - but I would pass on the Oatcake with various stuffings... Overpriced. Had black sheep on, but not on my side of the bar. Went for some seasonal xmassy beer which was decent. It’s a mark of how the beer and pub scene has changed over the years, that this place, once regarded as a fabled mecca, nowadays just seems a quaint curiosity. As previous posters have intimated, the whole interior of the pub is given over to period advertising – mainly around the period of the first world war. Furnishings also have a comfortable retro look about them. It certainly is an eye-opener for a casual visitor – one of the few places where people rightly want to take photos in the gents toilets ! Unfortunately, it is let down by the choice of beer. Or rather the lack of choice – just two unexciting national brands being available. I had the Bombardier Gold which, whilst reasonable wasn’t spectacular. Food is available, at least at lunchtimes. I didn’t sample any, but judging ny all the plates I saw being cleared away being empty, I guess the quality is good ! My latest visit was on my own, so I didn’t come across the “no groups” ruling. 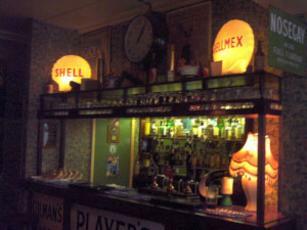 I did however, notice that the indoor advert for bar staff was mirrored by one outside advertising for customers ! 6/10 – 8 for pub interior, 4 for beer selection ! 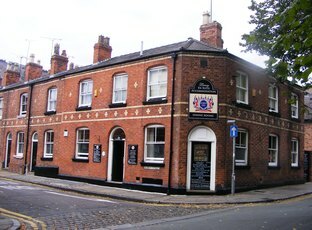 Closed yesterday afternoon which seems strange when every other Chester pub was welcoming racegoers. As pubs go it has all the ingredients required to be a classic - proper old style interior split in to three rooms, serves proper ale, no music, or stag or hen parties. They do stipulate that groups are not allowed and for those wanting a quiet pint then that is a good thing. It is after all their pub and they can make their rules. It is a quiet 'community' local and the last thing you need in such an environment is a crowd of stag/hen/football/camra or other associated raucous groups imposing their din and racket on a quiet pub. Library atmosphere maybe but sometimes that is what you want to escape the madhouse that is Chester on a Friday or Saturday night. What lets it down for me is that the ale quality wasn't so great.